It was a cold summer at the American box office. But the movie industry is hoping for a warm winter. It's already off to a good start. November's "The Hunger Games: Mockingjay Part 1" had the best opening weekend of 2014 with $123 million. If that seems like déjà vu, it's because the series' previous film, "Catching Fire," was No. 1 during the holidays last year. But that's not for a lack of choices. The holiday season is seen as the time of year when Hollywood puts out a mixed bag of blockbusters and critically-acclaimed films. 1. December performances, February gold: With awards season right around the corner, Hollywood uses December to show off their best work. First up: "Wild" starring Reese Witherspoon starts its long road to Oscar night on Friday. The movie tells the true story of Cheryl Strayed's thousand-mile hike along the Pacific Crest Trail. Witherspoon's portrayal of Strayed is gaining her Oscar attention. Possible Oscar-worthy performances this month also include Jack O'Connell in Angelina Jolie's "Unbroken" and Amy Adams in "Big Eyes." Don't be surprised if that buzz gives those films a healthy boost at the box office. 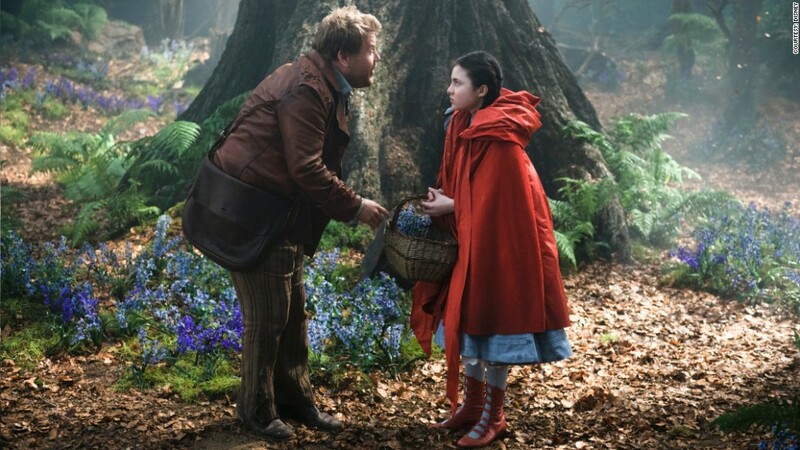 Disney hopes "Into The Wood" is as big at the box office as last year's holiday musical, "Les Miserables." 2. Hobbits, fairy tales and Moses: Those looking for more popular fare also have a wide variety of big-budget films to choose from. Another on-screen battle will waged next weekend when Christian Bale's Moses parts the seas in "Exodus: Gods and Kings." It's directed by Ridley Scott and hits theaters Dec. 12. However, if you prefer blockbusters of the musical variety, Sony's remake of the beloved Broadway show "Annie" starring Jamie Foxx premieres (at least officially) on Dec. 19. Then on Christmas, Disney assembles an all-star cast -- Meryl Streep, Johnny Depp and Anna Kendrick -- for its take on Stephen Sondheim's beloved fairy tale musical "Into the Woods." Musicals have been good box office bets in recent years. "Les Miserables" pulled in over $440 million worldwide last Christmas. 3. A happy new year: There are plenty of options for the remainder of 2014, but is there enough time for the box office to make up for the down year? Possibly. But that may require a holiday miracle. "Last year's full year North American record of $10.9 billion domestic total will likely remain unbeaten with year-to-date currently down over 4% with only a few weeks left to make up a lot of ground," said Paul Dergarabedian, a box office analyst for Rentrak. Dergarabedian expects major December titles like "Annie," "Into The Woods," "Night at the Museum," "Exodus" and "Hobbit" to narrow the gap. He predicts Hollywood will end the year down between 2% and 3%. But stay tuned for "Star Wars: The Force Awakens," "Avengers: Age of Ultron," "Fifty Shades of Grey" and the next James Bond film "Spectre," all expected to come out next year. Rentrak estimates that could drive 2015 to the top of the charts -- the biggest box office year ever breaking the $11 billion revenue milestone for the first time. Now there's a Hollywood happy ending.